These are glorious. Leopard upper, and patent leather 'jags' print on the lower. No release date yet, but click picture to expand and check out the details. Given how expensive their bracelets are, I'm surprised that the belts come in at such a good price point ($185 for the belts, which feature about 982 times as much fabric as the bracelets that retail for $68). Note the woven belt features a unique Miansai designed buckle, and is made in the USA. Search for a bag continues. I like this bag travel system a lot! This is actually two bags from Topo Designs, their Travel Bag and connecting Trip Pack. Read the details after the jump, and purchase here. Corter has a nice collection of leather passport holders/travel wallets. Wish I would have stumbled on these before I made my decision (since I like to keep it positive on the site, I won't discuss what I went with). Purchase the Corter version here. File this one under "another match made in collaboration heaven" - Mister Cartoon and the LA Kings hook up for a project in which a portion of the proceeds benefit "Para Los Nino's". 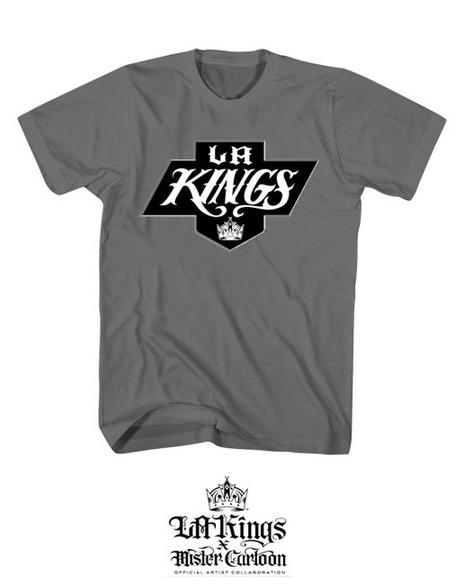 Peruse the collection here, and Go Kings Go! So I ran in to an unfortunate situation a couple weeks back and my hotel luggage was stolen. Not the best feeling in the world, and the hotel ended up cutting a check to right the wrong, but there are certain things that can't be replaced (Swiss Army knife and leather case my pops gave me 20 years ago, Supreme Duffle Bag from 2007 collection, etc). 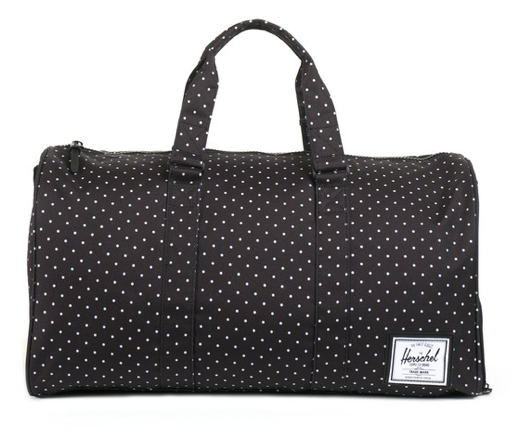 That being said, I'm in the market for a new duffle bag/backpack set, and came across the polka dot collection from Hershel Supply Co. I ran the bag above by wifey, and she was not a fan. Well, she was a fan, if the bag was her, but has a pre-conceived notion that polka-dots are for women. Mrs. OSTT: I mean, it's cool, but kind of feminine, no? Me: No, not at all. It has a sneaker compartment at the bottom. Mrs.: But it has polka dots! Me: And? Those aren't isolated to women. Mrs: How many polka-dot shirts do you own? Mrs: I own 4, and 2 polka-dot sweaters. Hmmm. Aside from the fact that she obviously hasn't heard of Kwame, she might have a point. Perhaps Notorious BIG killed the fad for guys with his line from "Unbelievable", and its been a girl thing ever since. Living up to their name, 40's & Shorties latest collection of socks include pairs featuring a timeless all-over 8ball print, 40's, and yes, even a women twerking. You read that correctly - "even a women twerking". Available for purchase here. Lookbook is shot by Kris San Pablo and can be viewed here. 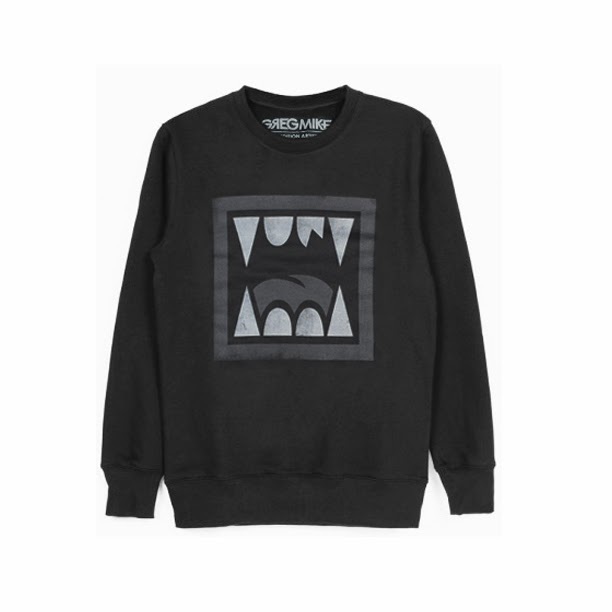 ONLY released some new gear for Fall, and I like the colorway on this sweatshirt quite a bit. Available for purchase here. Despite what they say about guys with two first names, I can vouch for two. Chris Paul and Greg Mike. The latter has recently opened up a web-shop where you can buy some apparel featuring his artwork, so go ahead and show some support! Purchase here. Do you ever find yourself laughing way too hard at a dumb joke? Oh. Me neither. 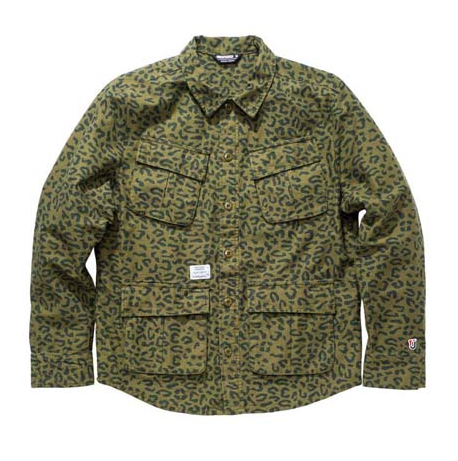 The Supreme x Bruce Lee collaboration project is a little out there for my tastes, but this lined Coach's jacket is the BUSINESS. Check out the complete project here, and read more after the jump. 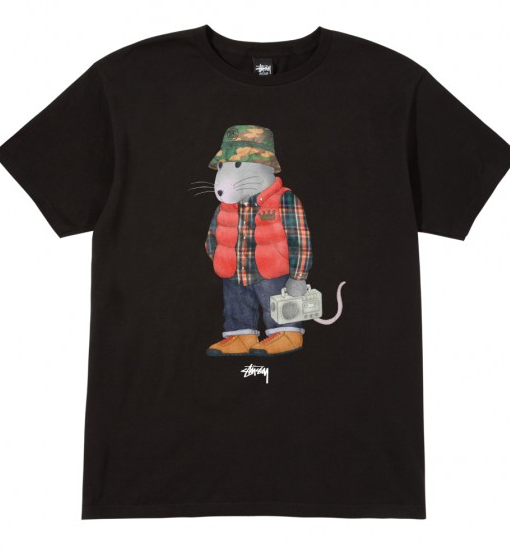 Nice flip of Ralph Lauren's classic "Polo Bear" shirts. Purchase here. 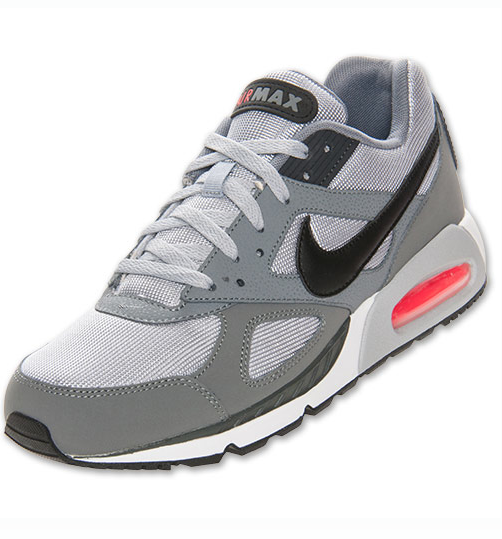 Low on hype (and price) but high on style - check out the Air Max IVO running shoes at The Finish Line for a bargain price of 79.99. 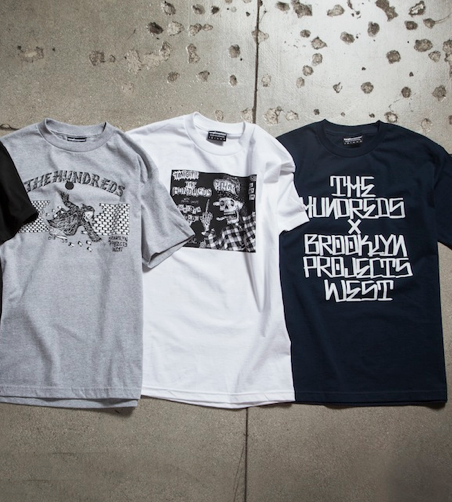 If you were Bobby Hundreds, how would you commemorate a Brooklyn Projects pop-up store on the west side? 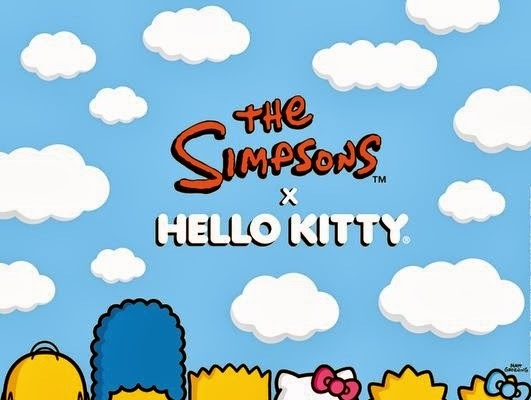 With an exclusive collaboration only available at the new location? Makes sense. Check out the opening tomorrow. One man denim shop, Roy Slaper (you remember him, right?) is back with a new lightweight 11 oz denim. These jeans (which of course are hand-made in Oakland, CA), go with vintage features such as "tin-plated brass buttons, two-prong copper plated brass rivets, vintage letter pressed patch, and a mini steel buckle-back" will be available at all 4 Self Edge stores Saturday Oct 19th at 12pm. Made by one of Scotland's oldest mills and spun from Australian lambswool, I feel like even referring to this as a crewneck doesn't quite do it justice. This is sure to go fast, so purchase here if interested. Read more about Banksy's NY stop over at the NY Times. These shorts were made for "durability and style. Not for running faster or jumping higher. 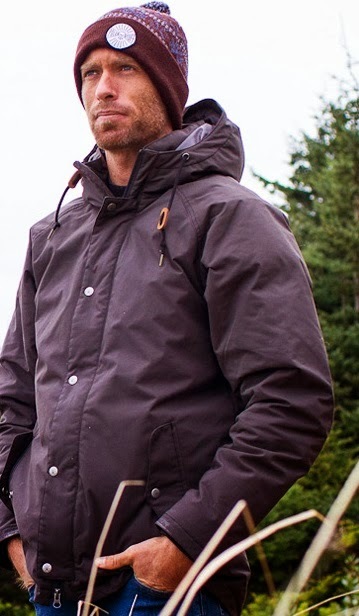 We've tinkered with the fit, fabric and construction of this short for months until it was perfect. There are countless unseen details that you can only appreciate in person." Made of heavyweight mesh and lined with moisture managing poly, these are designed and produced in the USA. Pick up a pair here. 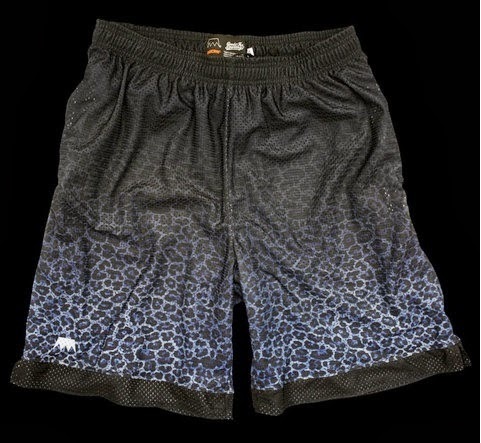 I was first introduced to Lightning Bolt when a buddy went digging in his dad's closet and stumbled on some vintage board shorts that he claimed as his own. Since then, I've checked out their flagship store in Venice, and I think we'll be seeing a lot more of them as they are expanding their horizon with their current stocklist and marketing approach. 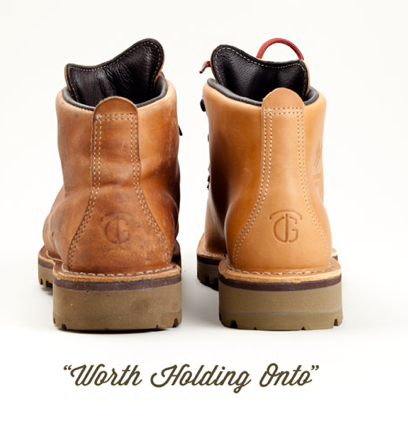 Check out their Fall collection here. 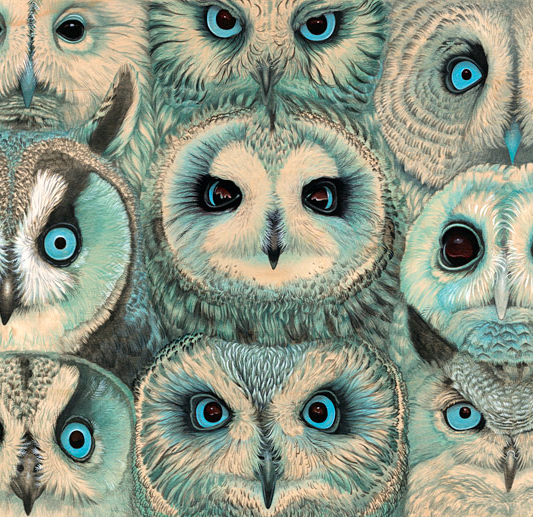 Tiffany Bozic (who?) will be having a show at FFDG up in San Fran opening this Friday, October 18th. Don't miss it! 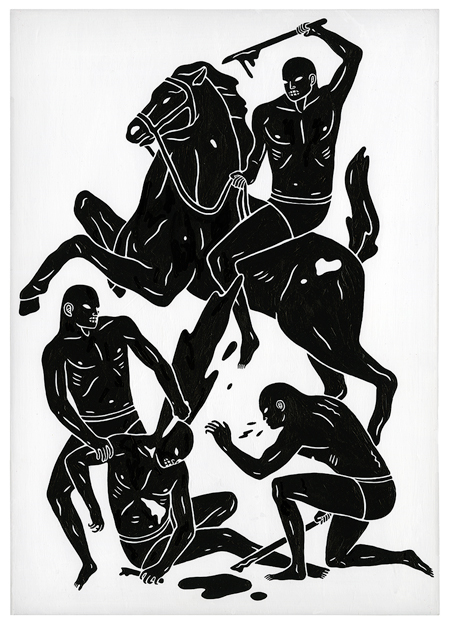 For OBEY's latest artist series collaboration, they have teamed up with Cleon Peterson, an "LA based artist whose chaotic and violent paintings show clashing figures symbolizing a struggle between power and submission in the fluctuating architecture of contemporary society." Yep, that about covers it. Check out OBEY's interview with Cleon here. The military inspired looks are still coming strong in Fall 2013, and Undefeated is no different. I'm liking this signature leopard print a lot, and if the jacket above isn't up your alley, the print makes its way on to shorts, shirts, hats, and yes, even pants (shout out to Lil Wayne). Check out this rest of the Undefeated Fall set here. 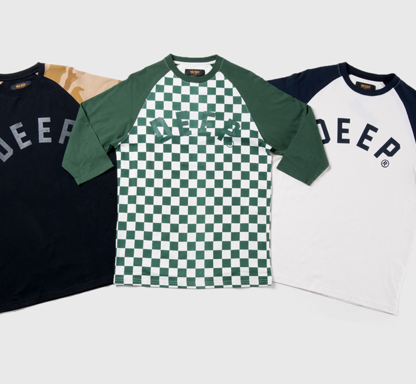 10 Deep's Fall gear is available now, and no, baseball 3/4 length shirts do not appear to going away any time soon. Purchase here. Best Made Company has some of the most beautiful axes I've ever seen. I'm not sure that the word "beautiful" is typically used to describe an axe, but seriously, these things are amazing. I keep trying to get approval from the wifey to buy one (and its probably not going to come until we move out of Southern California), but a guy can dream, can't he? 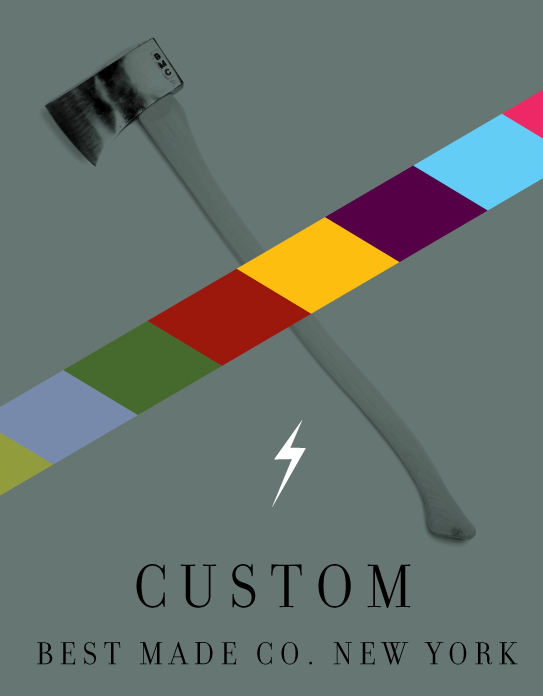 Speaking of dreams, Best Made Co has a new program where you can work with their design team to build out your own custom axe, how cool is that?! More info here. 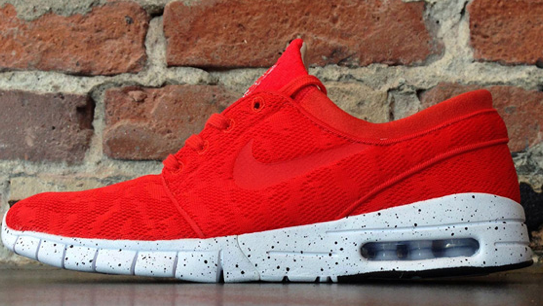 A skate shoe featuring 'Free' and 'Air Max' technology? Nothing is stopping Stefan Janoski from surpassing P.Rod as sneaker-heads favorite skater. Available early 2014. I can’t remember how I initially stumbled on this song – but it happened it a couple years ago when I was at corporate grind job #1, and my life wasn’t the same for the next few weeks. Friends and I would joke and quote it constantly, I’d use the lines on my wife, it was great. The 80’s beat, falsetto voice, and the “and him” lines made it a go-to song, and the spoken word that starts around the 2:20 mark make it a classic. That being said, once I saw the video, it was OFFICIALLY GAME OVER. The video perfectly captures the song, and they go hand-in-hand like music video’s rarely do. Anyway, I was doing some yard work the other day and listening to the local 80’s radio station, and when this song came on, words can’t express how stoked I got. If you have never seen this video (or heard the song) – please, do yourself a favor and check out the video (posted after the jump). 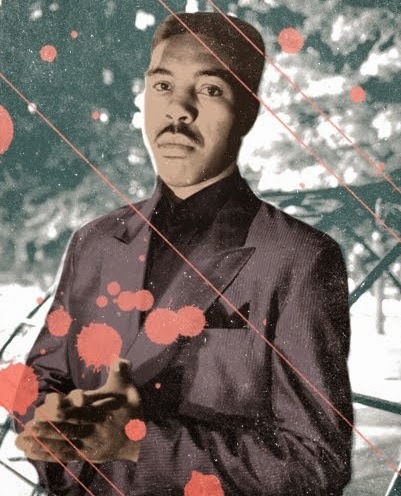 Shout out to Oran “Juice” Jones, a forgotten legend. You can't tell from the shirt I chose to post from the Play Cloths Fall 2013 collection, but they are really going for the high fashion meets streetwear look this season. While I'm personally not a fan of those looks, they are definitely in, and I can see the collection doing quite well for them. 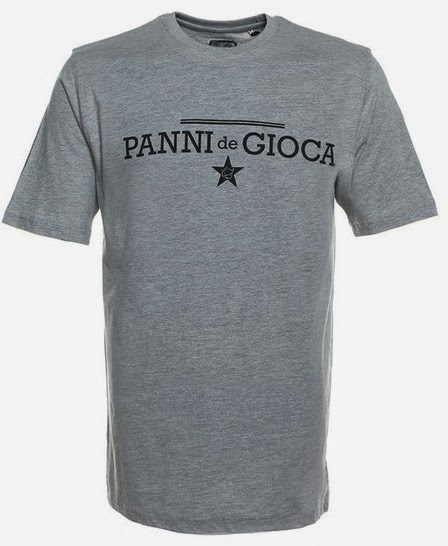 This basic logo t above (Panni De Gioca = Play Cloths in Italian) is more up my alley. Shout to King Push, whose album you can stream before its Oct 8th release date here. Check out his Decoded feature after the jump. Who said all flannel's have to include a plaid print? 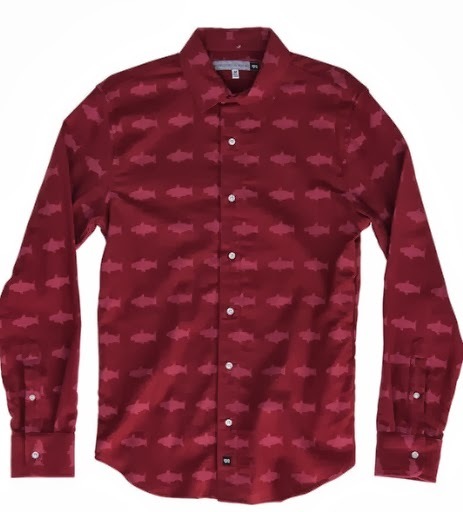 It certainly wasn't California based AMBSN, whose "Shark Attack" flannel is available with the rest of their fall collection online and in store now.